Today we bid farewell to the trailer, or should we say au revoir. 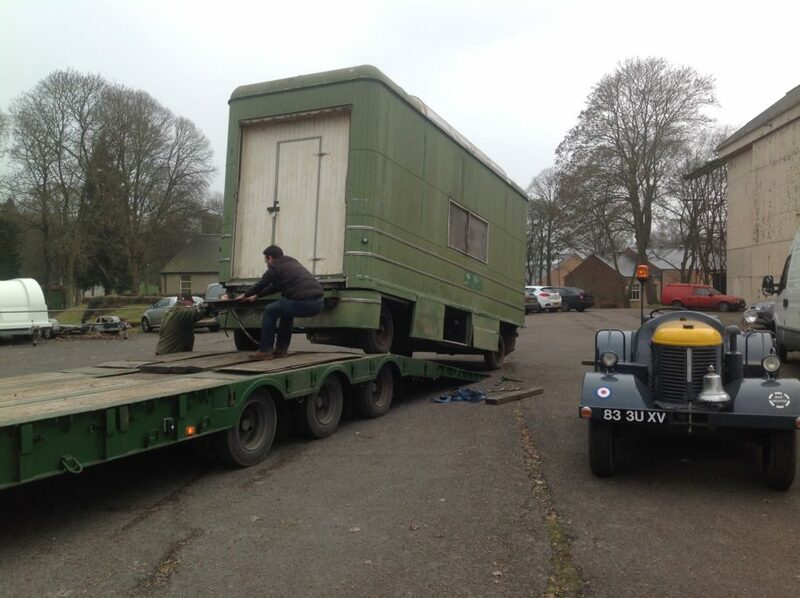 The trailer is heading off for the simplest of starters to the long haul that will be its restoration. To start with all the old paint and all the rust is being sandblasted off. The resulting work will give us a more accurate idea of the scope of the full project from which we can more accurately price up the job as a whole. The trailer is in the capable hands of BMP Blasters, who have a base at Bicester Heritage, but they have a larger unit in Oakley, only a few miles down the road. The sandblasting will not happen until the end of February. We’ll post an update when this happens.